A new Lamborghini is always a big deal, but it’s particularly significant when it’s the replacement for the Italian marque’s bestselling model of all time, the Gallardo, more than 14,000 of which have been produced since 2003. Formally debuting at next week’s Geneva motor show, the 2014 Lamborghini Huracán LP 610-4 is a wedge-shaped vision into the brand’s future that aims to best the Gallardo in every meaningful way. 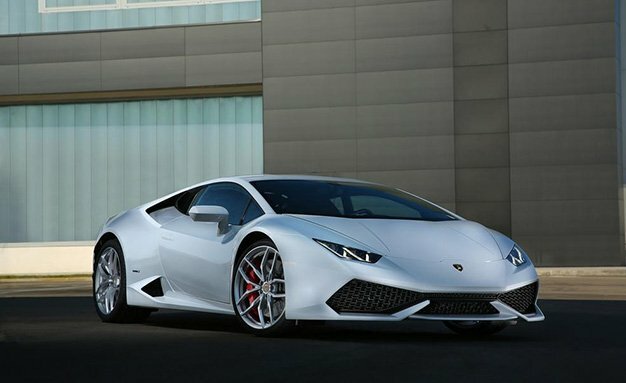 Despite the “610” in it’s name, the Huracán’s 5.2-liter V-10 actually produces 601 horsepower at 8250 rpm. Yet, combined with its 413 lb-ft of torque at 6500 rpm, the engine’s output represents gains of 49 ponies and 15 lb-ft over the Gallardo. This is accomplished in part by the fitment of the new Iniezione Diretta Stratificata (IDS) fuel-injection system, which combines port- and direct injection for slightly better power curves and less fuel consumption. Also aiding efficiency is an engine stop-start system, as well as cylinder deactivation, both of which Lamborghini first applied to the V-12–powered Aventador. Although both features will be present on most models when deliveries commence late this year, initial American versions will do without cylinder deactivation due to what Lamborghini calls bureaucratic reasons with U.S. regulations. Might these first examples be future collectibles down the road? While the company rates the car at an optimistic 19 mpg in the European cycle, we expect a more realistic figure for U.S. cars and considerably less when the taps are fully opened on the V-10. 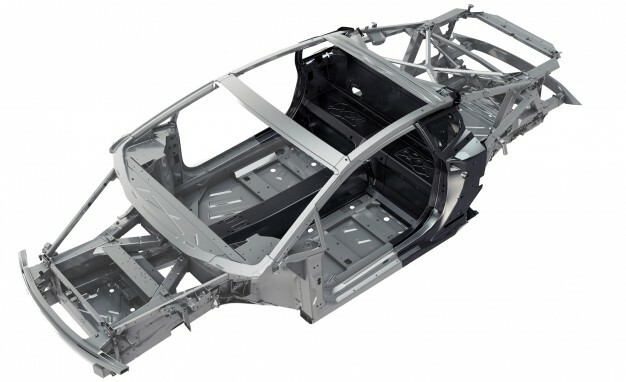 Based on the Volkswagen Group’s new modular sports-car architecture, the Huracán is composed mostly of aluminum, with carbon-fiber elements making up the center tunnel and bulkhead behind the seats. Although the structure is not as exotic as the Aventador’s carbon-fiber tub, Lamborghini claims a dry weight of about 3100 pounds, which is several hundred pounds lighter than the Gallardos we’ve had on our scales. 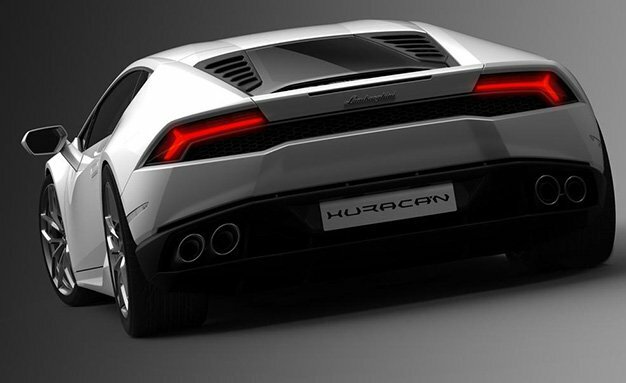 Lamborghini claims the Huracán is also 50 percent more rigid than its predecessor. 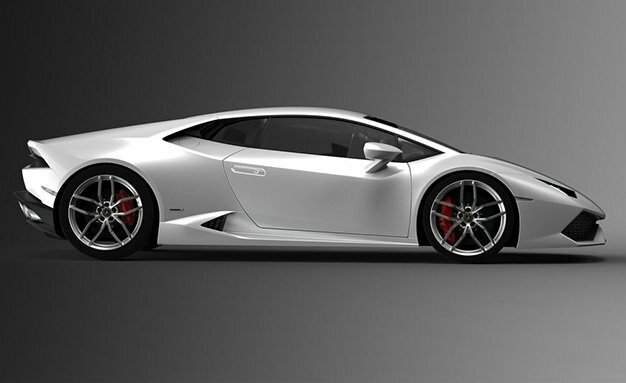 The Huracán will employ a range of performance technologies aimed at making it as easy to drive day-to-day as it is capable on the track. Among those are driver-adjustable magnetorheological dampers at all four corners, as well as Lamborghini Dynamic Steering (LDS), an electromechanical setup with variable ratios dependent on the car’s various driving modes. The car’s standard all-wheel-drive system (rear-drive models will come further down the road) also is clever, with a nominal 30/70 front/rear torque split with the ability to shuffle up to 100 percent of the power to the rear wheels and up to 50 percent to the front. Governing all of this, as well as the engine and transmission parameters, is the Lamborghini Piattaforma Inerziale (LPI), which utilizes an advanced accelerometer and gyroscope mounted deep in the chassis to analyze the forces acting on the car’s various systems. The steering-wheel-mounted selector—referred to as ANIMA for Adaptive Network Intelligent Management—coordinates with the LPI to deliver Strada (street), Sport, and Corsa (race) modes to the driver. With a better power-to-weight ratio than the Gallardo, a new seven-speed dual-clutch automatic—called Lamborghini Doppia Frizione and incorporating launch control and the ability to preselect gears on downshifts—and new Pirelli P Zero Corsa rubber on 20-inch wheels, Lamborghini claims a 0-to-62-mph time of 3.2 seconds and a top speed of 202 mph. We’ll have to wait for a proper test to confirm that, but the company’s chief test driver says the car is a conservative two seconds quicker around the Nardo proving grounds than the Gallardo. Monstrous carbon-ceramic brakes are standard and surely scrub off speed both effectively and with minimal fade. A Lamborghini is as much about theater as it is performance and the Huracán certainly has the lines to get the blood flowing. Softer and more feminine than its chunky predecessor with flowing contours that add depth to the curves, the new car is easier on the eyes without losing the aggressiveness we’ve come to expect from Italian doorstop supercars. Lamborghini’s hexagonal elements are everywhere on the Huracán, most notably present in the inset windows and surrounding facets. Designer Filippo Perini notes that the new car’s shape has slightly less drag than the Gallardo yet 50 percent more downforce, as well as a better front/rear aero balance without the use of any flaps or deployable spoilers. Despite being very low-slung, the Huracán is easy to climb in and out of and is accommodating for even larger drivers. Material quality and overall detailing are excellent. The new multi-function steering wheel takes center stage and follows Ferrari’s lead of incorporating controls for the turn signals, lights, instrument cluster, and the ANIMA system. There are no stalks on the column, just gargantuan, fixed paddles behind the wheel. 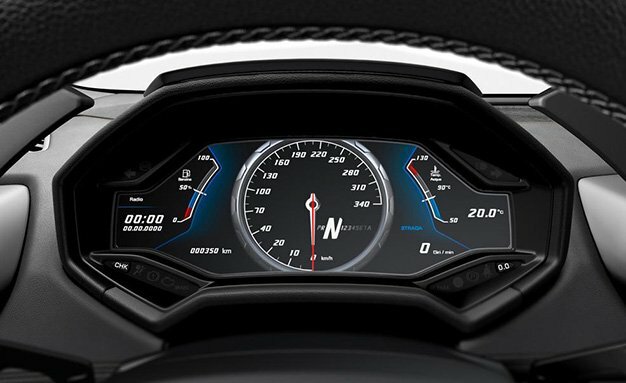 A massive, 12.3-inch TFT display in the cluster is reminiscent of the setup Audi previewed for the upcoming TT and can be configured to display a large center tachometer and other vital readouts, a full-width navigational display, or a combination of the two. The center console is well laid out and tidier than the Gallardo’s, with an obvious ergonomic influence from Lamborghini-parent Audi. The theatrical experience peaks with the ultra-cool starter button, mounted square in the center stack and sporting a red, flip-up cover similar to the fire control for a cruise missile. 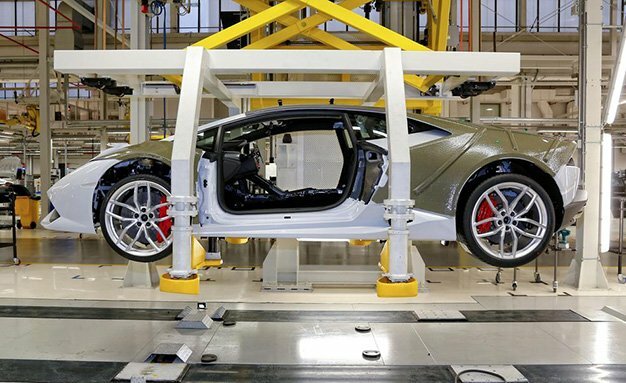 The Huracán’s execution may look and feel nicer than its predecessor, but Lamborghini has also incorporated additional quality checks in the production process, as well as a master body center at the Sant’ Agata factory to ensure closer tolerances. 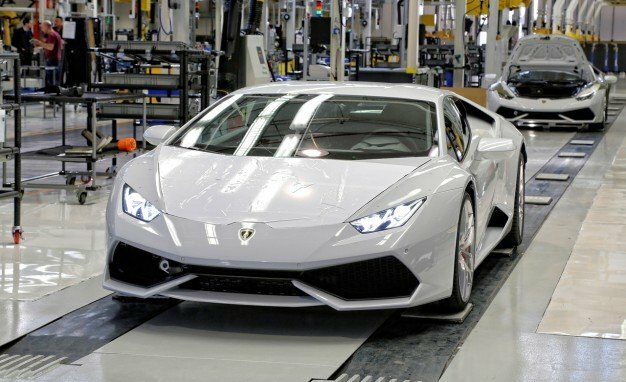 Overall assembly is said to be 20 percent more efficient than the Gallardo’s, with the line able to pump out up to 13 cars per day once production hits full swing. 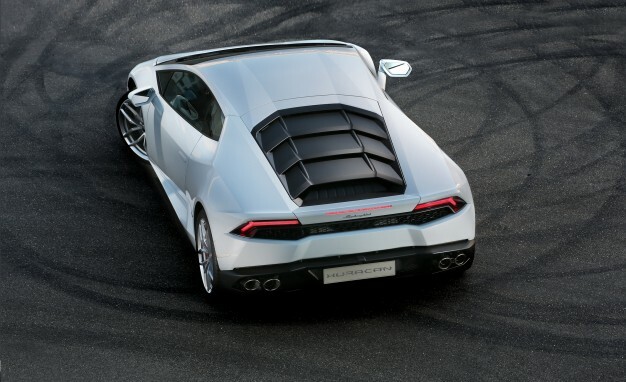 Despite the many obvious differences between the baby Lambo and Audi’s own supercar, the next-gen R8 and the Huracán will share a platform, and the former will also benefit from some of the Huracán’s technologies. 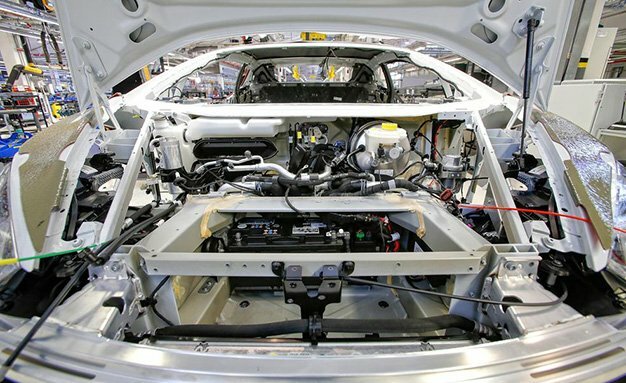 Audi still produces the basic structure at its Neckarsulm, Germany, facility, and the engine and drivetrain come from other Volkswagen Group plants. Despite the softer lines and greater civility, the Huracán has the presence and barking-mad exhaust note of a proper raging bull. 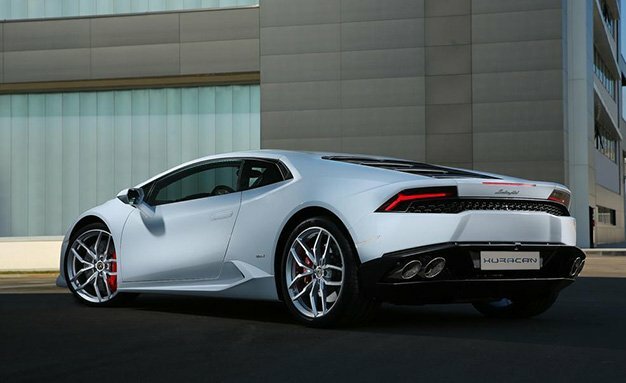 From its muscular stance to the bold, Y-shaped running lights, to the jet-fighter cockpit, it’s difficult to say the Huracán diminishes any of the brand’s ridiculousness in its appeal to the masses. Watch this space as we gather more intel on the newest Lamborghini and prepare for our first test drive on the open road. As the company’s volume model it will surely be as ubiquitous as the Gallardo in time, but that won’t make it any less special.